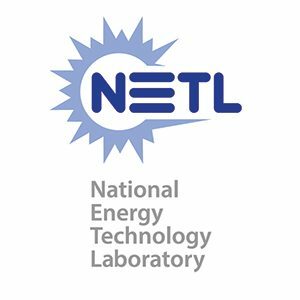 The Texas A&M Energy Institute is joining eight universities to participate in a new six-year, $20 million project awarded by the U.S. Department of Energy‘s (DOE) National Energy Technology Laboratory (NETL). Titled “University Coalition for Fossil Energy Research – UCFER,” the goals of the project will be to identify, select, execute, review and disseminate knowledge from research that will improve the efficiency of production and use of fossil energy resources while minimizing the environmental impacts and reducing greenhouse gas emissions. Led by Penn State University, the founding members of the coalition team include the Massachusetts Institute of Technology, Princeton University, Texas A&M University, University of Kentucky, University of Southern California, University of Tulsa, University of Wyoming and Virginia Tech University. UCFER will engage in both fundamental and applied research for clean and low-carbon energy based on fossil resources. Outreach and technology transfer to industry will be important components of the coalition. With the aim of reducing environmental impacts and minimizing carbon dioxide emission, the coalition will explore both research in coal and in natural gas and oil including carbon dioxide capture, storage and utilization. UCFER will support the mission of the U.S. Department of Energy through mechanisms that promote collaboration among NETL and the universities that are members of the coalition by the coordination of research and the sharing of data. Its collaborative research will focus on coal, natural gas, and oil and will involve expertise in one or more of the following five core competence areas – geological and environmental systems, materials engineering and manufacturing, energy conversion engineering, systems engineering and analysis, and computational science and engineering. Research in gas and oil will also include unconventional resources such as shale gas and environmental impacts, natural gas infrastructure — leak detection and smart sensors, deep water technology, methane hydrates and enhanced recovery. The Texas A&M Energy Institute engages undergraduate and graduate students, postdoctoral associates, research staff, and faculty members toward the study and development of innovative technologies and policies for energy production and energy conservation. Special attention is paid to elucidating the complexity among the interacting components of energy, economics, law, public policy, and the environment. The Texas A&M Energy Institute focuses on three essential pillars: transformation of the energy research landscape, education of the next generation of leaders in energy, and establishment of a vibrant external partnerships program in energy. With 240 faculty affiliates from nine colleges and schools, more than 20 Texas A&M University departments, two Texas A&M University branch campuses, and two Texas A&M University System member institutions, along with a unique community of more than 400 doctoral students and postdoctoral fellows in the Texas A&M Energy Research Society, cutting-edge solutions are being realized through true interdisciplinary collaborations that will address the complexity and challenges of the world’s energy future.